Our standard size pull up banners are exceptional value for money. At 80cm wide x 2m high they come with a handy carry case. 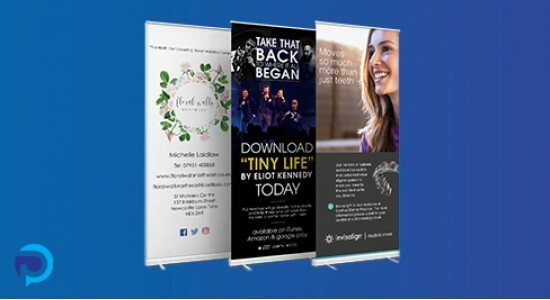 Visually stunning, these are one of the most effective forms of advertising any service, promotion or product as they really give a 'wow' factor. Printed on thick 300 micron non-curl material, they are both simple and quick to put up and take down. Our talented team of designers have many years of print design experience and they are available to create stunning artwork from scratch. Select "I require artwork or design" from the dropdown menu and we will be able to discuss your requirements when placing your order.